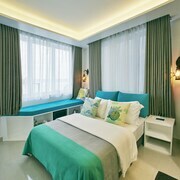 Nestled on the beach, this Hulhumalé hotel is within 1 mi (2 km) of Hulhumalé Central Park and Hulhumale Beach. Kurumba Beach is 2.6 mi (4.2 km) away. 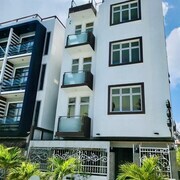 Nestled on the beach, this Hulhumalé guesthouse is within 1 mi (2 km) of Hulhumalé Central Park and Hulhumale Beach. 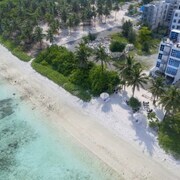 Kurumba Beach is 2.4 mi (3.8 km) away. 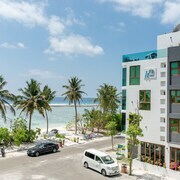 Situated by the ocean, this hotel is within 1 mi (2 km) of Hulhumalé Central Park and Hulhumale Beach. Kurumba Beach is 2.7 mi (4.3 km) away. 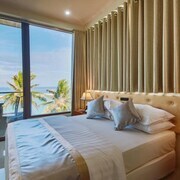 Nestled on the beach, this Hulhumalé hotel is within 1 mi (2 km) of Hulhumalé Central Park and Hulhumale Beach. 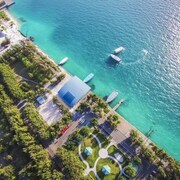 Kurumba Beach is 2.7 mi (4.4 km) away. 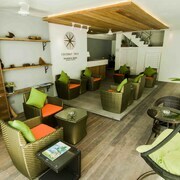 beach location, eco, friendly staff, excellent food, room amazing. Travellers to Hulhumalé give high marks for the beaches. Tourists can also enjoy so much more including its cafes.